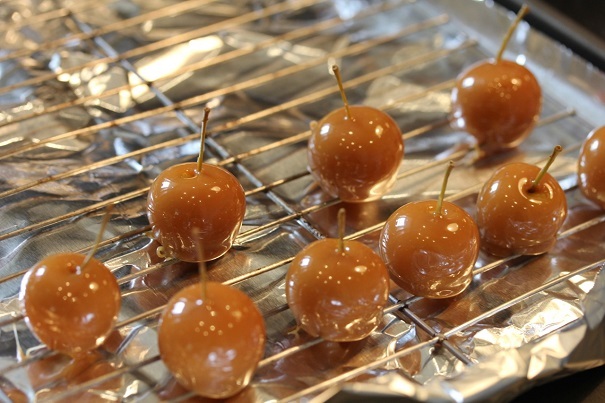 Remove apples from can, drain off liquid and allow apples to dry. Remove wrappers from caramels. 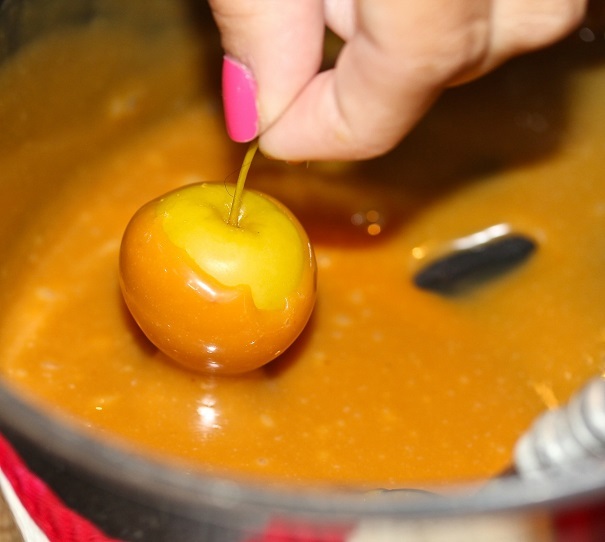 In a medium saucepan, add water and caramels, and melt over low heat until caramel is fully melted. 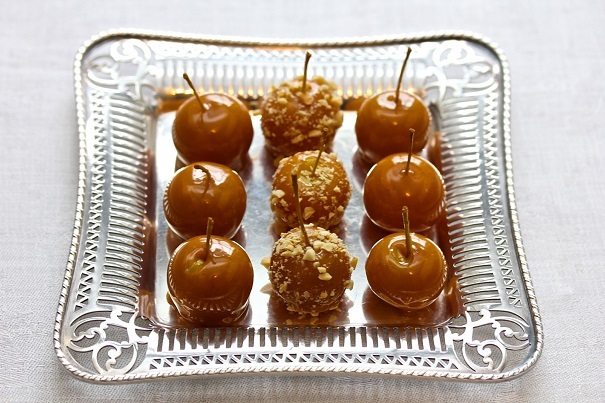 Dip apples into caramel, coating them completely. 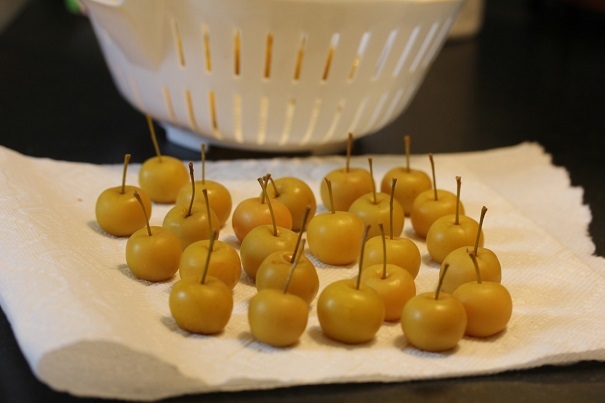 Roll the coated apples in crushed peanuts or other sweet treats.